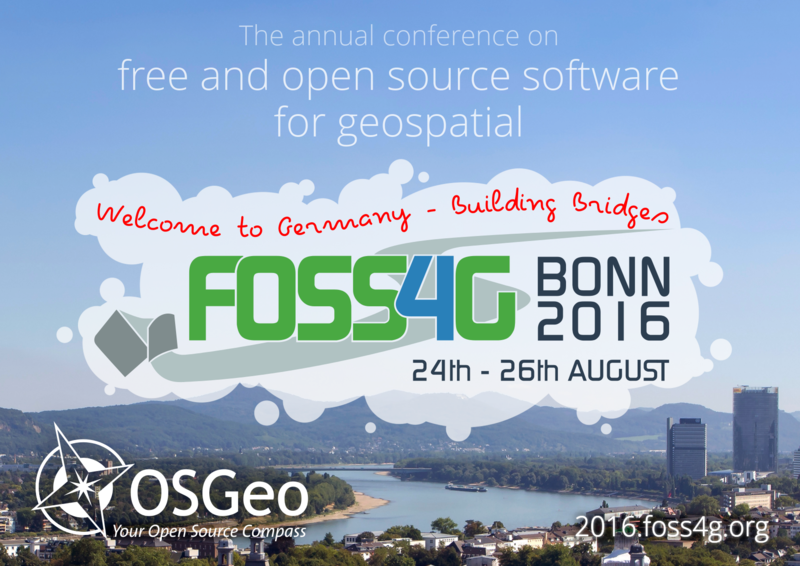 FOSS4G is the annual global event of the Open Source Geospatial Foundation (OSGeo). Although widely recognized as the largest technical geospatial Open Source conference we call FOSS4G an "event" because it is far more than "just" a conference. A typical FOSS4G will include regular presentations and talks, but also code sprints, birds of a feather sessions, workshops, topic talks and of course social events spanning all nine days. The program gives a clear orientation which talks are more focused on the technical aspects of the Open Source geospatial software and which have a more topical approach. The theme of the conference is "building bridges". This supports the objective of bringing together attendees across domains and communities. The Open Source idea has a lot in common with the emerging trend to publish more digital assets as Open Data. At the same time the geospatial technology, the core of FOSS4G, is perfectly applicable to making all that great Open Data more accessible. The "Bonn Geo Summer" also brings together the geospatial and remote sensing worlds which have historically existed somewhat in parallel. Land Information in its broadest sense, be it cadastre, tenure and city planning, has a growing need for geospatial technology to help alleviate the pressure on urban areas and make the constant migration pressure into cities and large scale refugee events manageable. The fourth thematic focus lies on emergency management which also heavily relies on geospatial technology and increasingly also on geospatial Open Data. FOSS4G will again be a meeting place for professionals, power users and domain newbies and as such serves as an ideal market place in the best tradition of a bazaar for service providers, developers and users of Open Source geospatial software. And last but not least FOSS4G gives everybody the opportunity to experience the special spirit that permeates all FOSS4G events: The best opportunity to show the world how professional work and successful business can be fun and even make a better world! In 2016 you have the chance to become an active part of all this and more in Bonn, Germany! Established in 2006, the Open Source Geospatial Foundation, or OSGeo, is a not-for-profit organization whose mission is to support the collaborative development of open source geospatial software, and promote its widespread use. The foundation provides financial, organizational and legal support to the broader open source geospatial community. It also serves as an independent legal entity to which community members can contribute code, funding and other resources, secure in the knowledge that their contributions will be maintained for public benefit. OSGeo also serves as an outreach and advocacy organization for the open source geospatial community, and provides a common forum and shared infrastructure for improving cross-project collaboration. The foundation's projects are all freely available and usable under an OSI-certified open source license. As of 2016, 25 projects live under the OSGeo "umbrella". 23 local and regional chapters throughout the world have an official status, approved by the Board of directors. Some 25 more chapters are in formation. OSGeo has US 501(c)(4) legal status. More information on the organisation, the projects and the local chapters can be found on the [OSGeo website http://www.osgeo.org]. Want to see what happened there? See all past presentations by discovering the FOSS4G Vimeo account. We are happy about any kind of public interest in our conference. So journalists are very welcome and get free access (and that means indeed free of charge) to all parts of the conference to do their work. 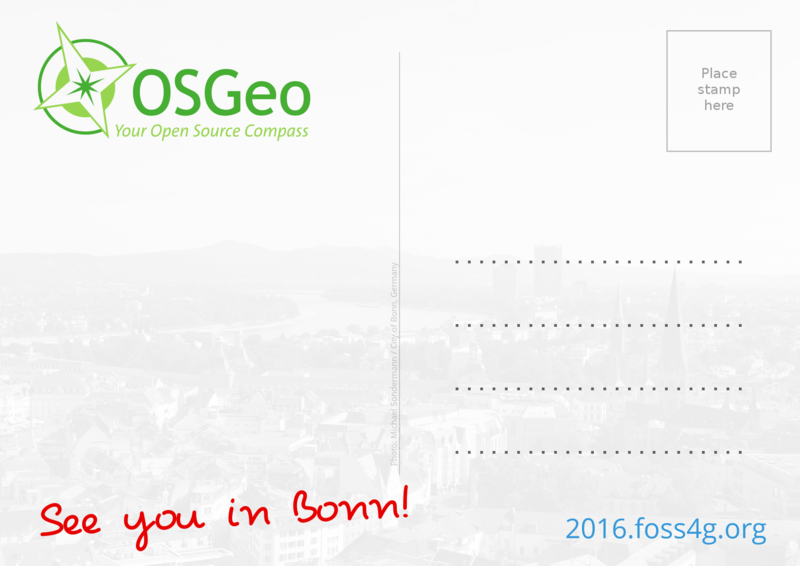 All you have to do is sending an email to press@foss4g2016.org to ask for accreditation. Please take care of the general accreditation regulations for journalists and send us supporting documents as well. Please understand also, that we cannot give a general free access to the Gala event on the 25th August. If you wish to attend there, we are very happy, if you order a normal Extra Ticket for 65 Euros via email together with your accreditation. Just write down, that you wish to attend. We send you ticket(s) and a bill. The FOSS4G 2016 want to support journalists’ access to information about our conference by giving them an accreditation. Accreditation is issued solely for the purpose of compiling press reports. 1. Owners of a valid press ID from a German or foreign journalists’ association not relating to a specific sector. 2. Owners of a valid press ID from a German or foreign journalists’ association with specific relation to the subject of the FOSS4G. d) A URL for an online publication that is recognised by the OSGeo-Community. In such cases, advance accreditation is necessary due to the extra effort involved in checking its validity. In addition, the LOC reserves the right to verify someone’s status as a journalist, even if they have presented press ID. All supporting evidence must be presented in German or English. The LOC reserves the right to request presentation of valid photographic ID in addition to the other evidence. There is no given right to accreditation. FOSS4G does not distribute personal information to third parties. We do employ 3rd party services to help us manage the conference and to contact future and past attendees, and we may need to use your information with that service, but we do not give them permission to use your personal information for any other reason. Your personal information is shared with future FOSS4G events and these are considered to be the same entity, even though they are run by a different committee. 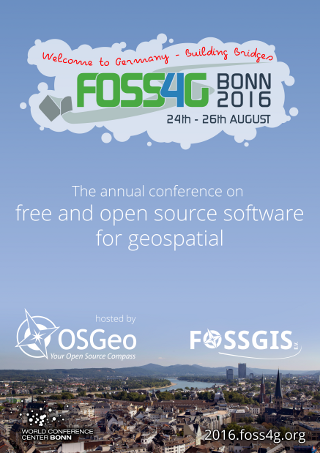 As part of our agreement with sponsors, FOSS4G may email you on their behalf in advance of or immediately following the conference. We do not give your personal information to sponsors and these communications will be limited. While attending the conference, you might get your picture taken and end up on a public website. If you are speaking at this event your presentation will be recorded and included in our online stream and archive. If these things bother you, please contact us. To make the event a pleasant experience for everyone, we ask you to follow the Code of Conduct.